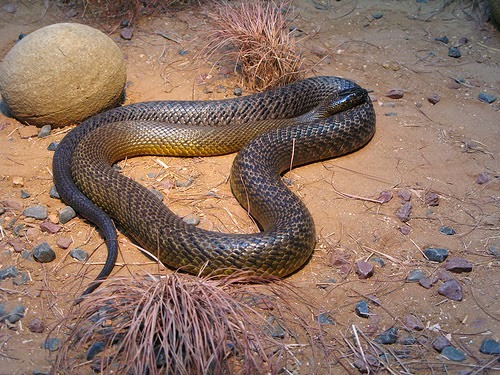 The inland taipan (Oxyuranus microlepidotus), also commonly known as the western taipan, is a highly venomous snake of the taipan. 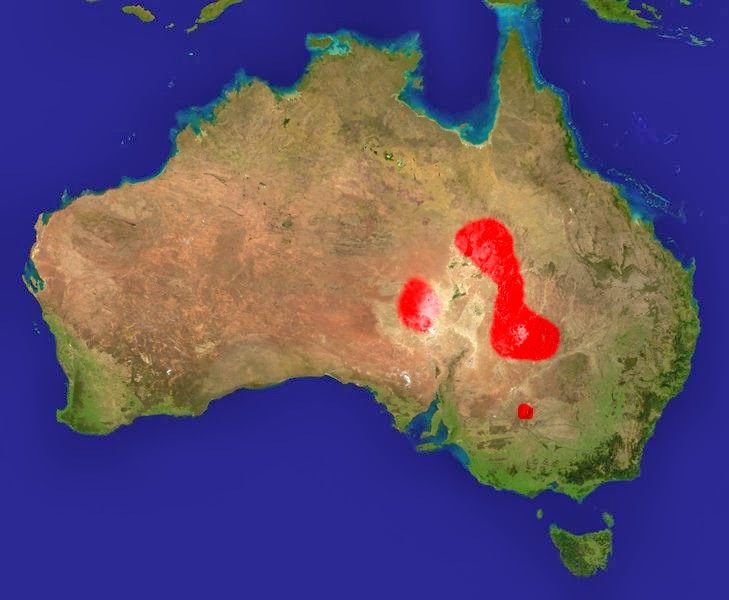 Aboriginal Australians living in those regions named the snake Dandarabilla. 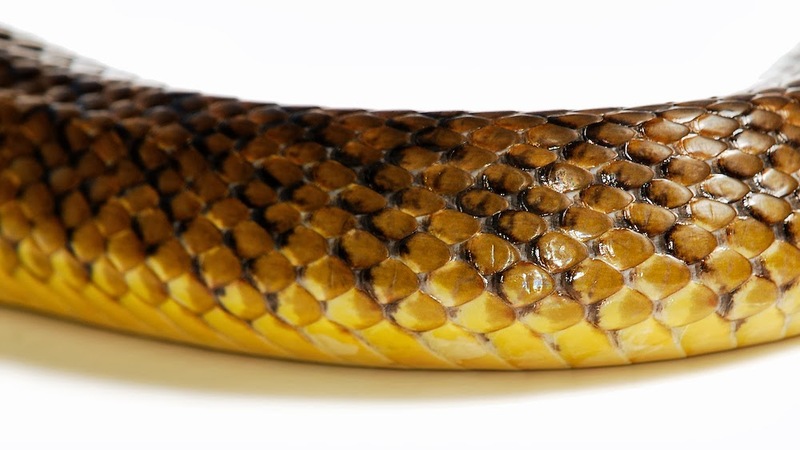 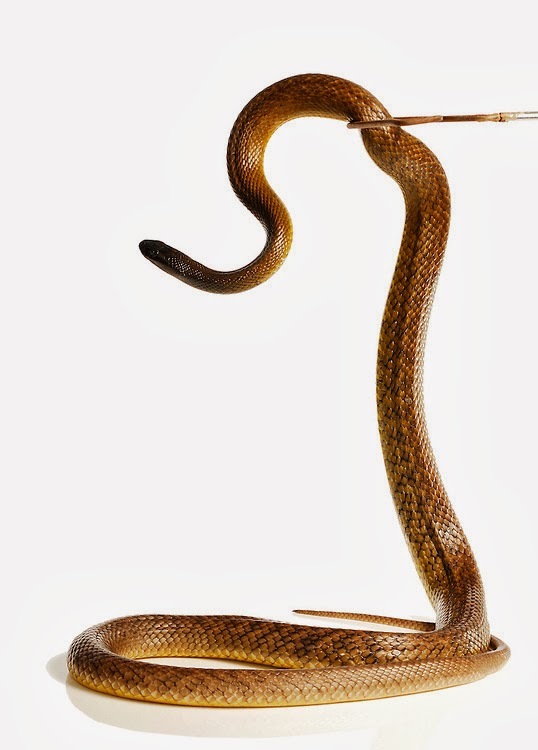 Its venom, drop for drop, is by far the most toxic of any snake in the world – much more so than even sea snakes. 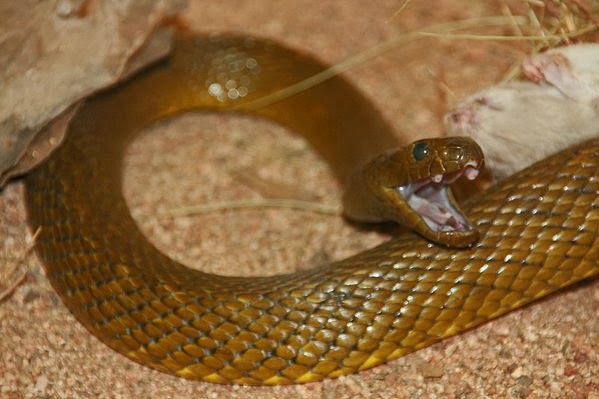 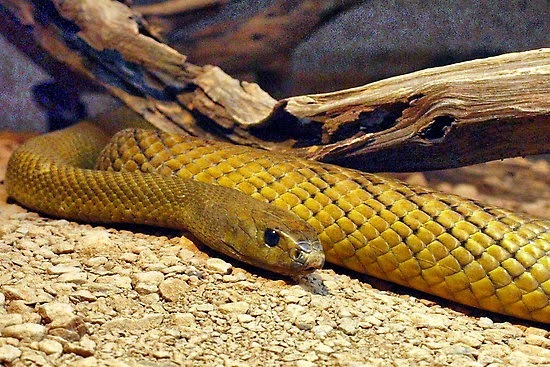 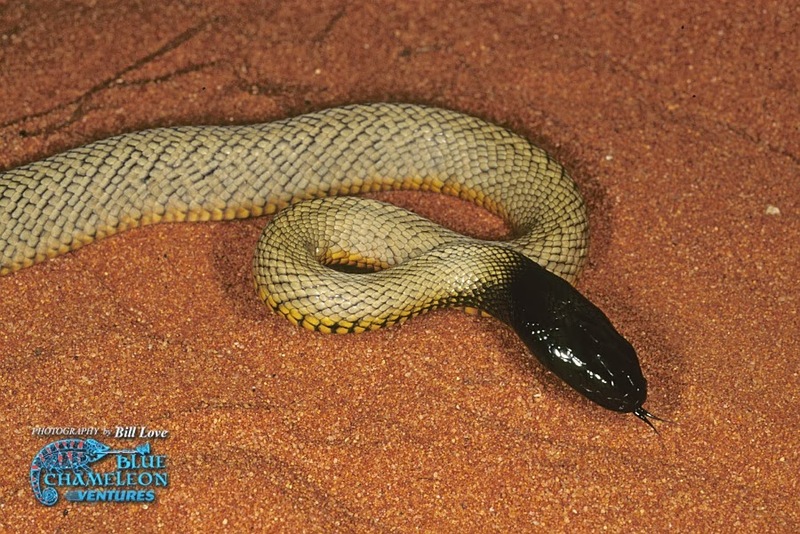 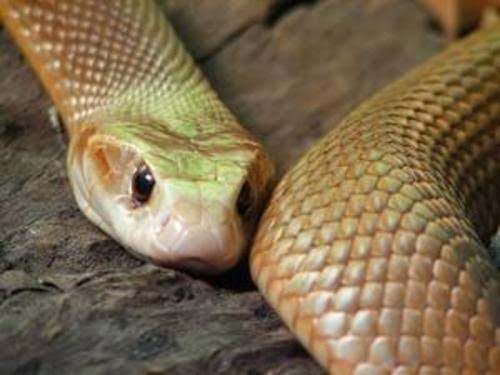 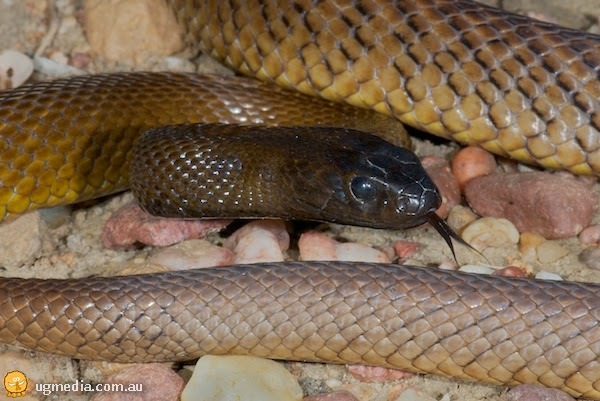 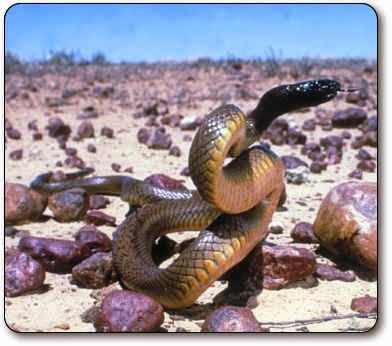 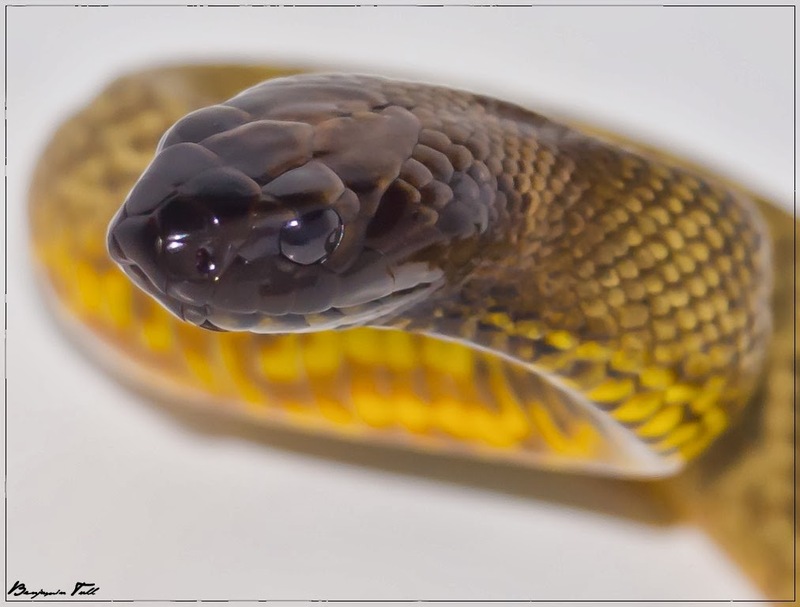 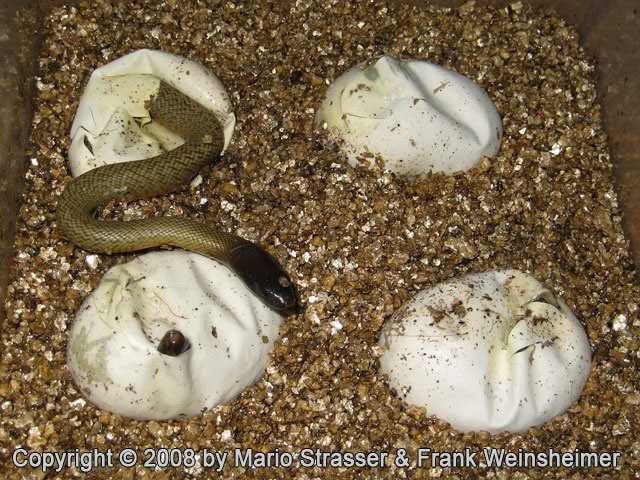 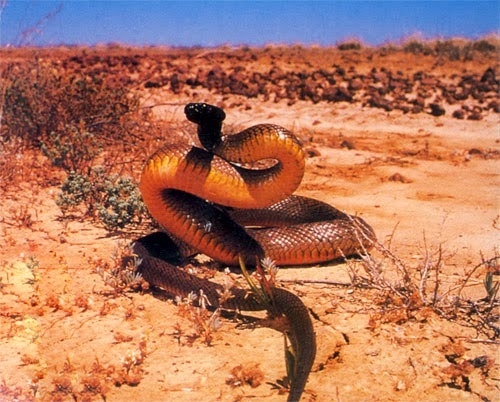 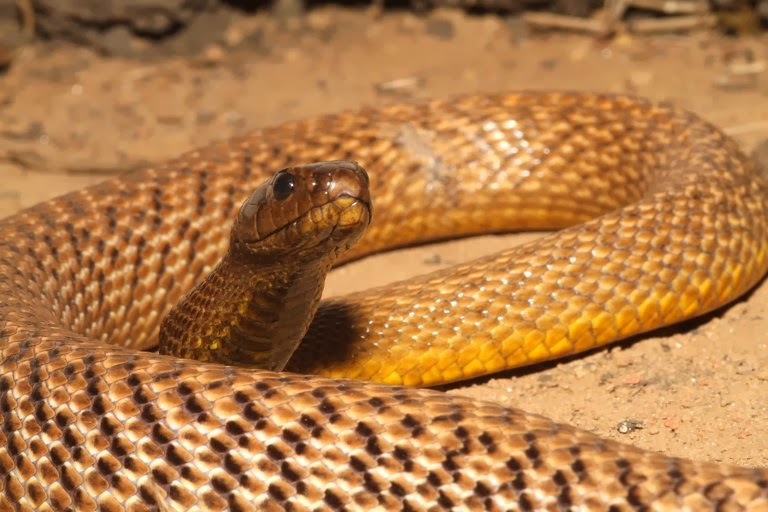 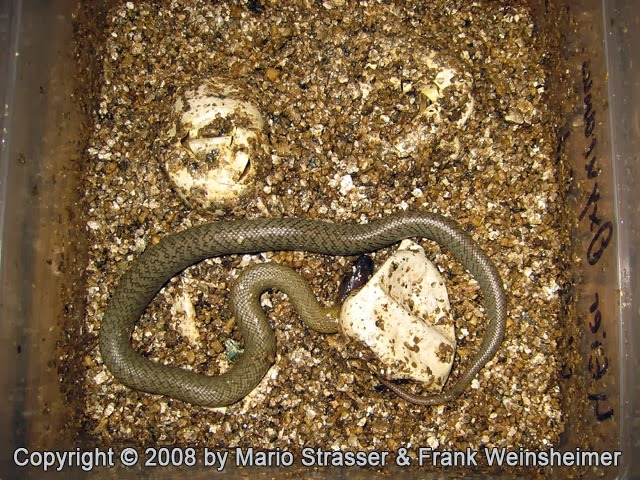 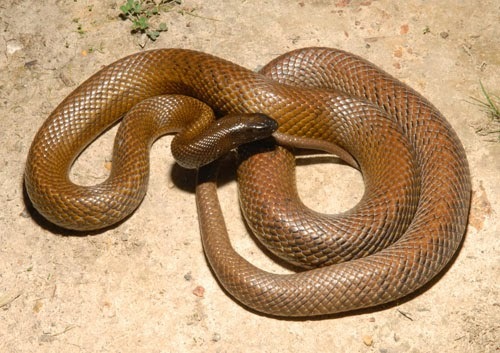 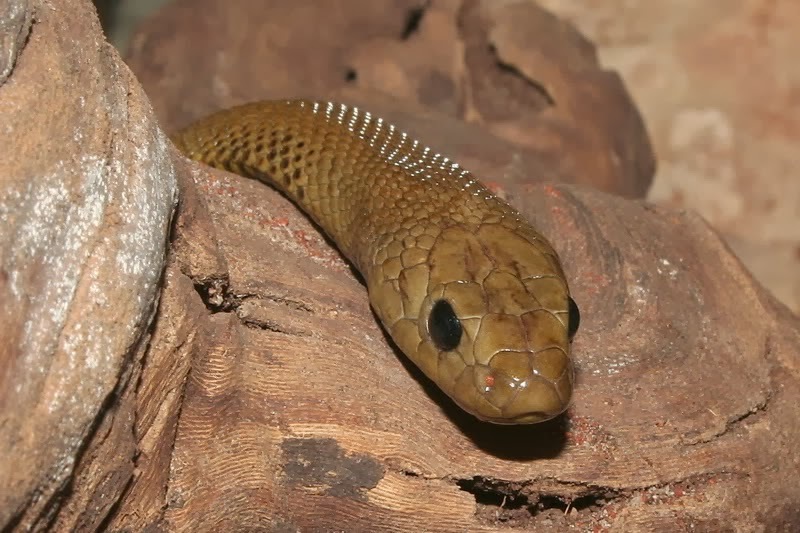 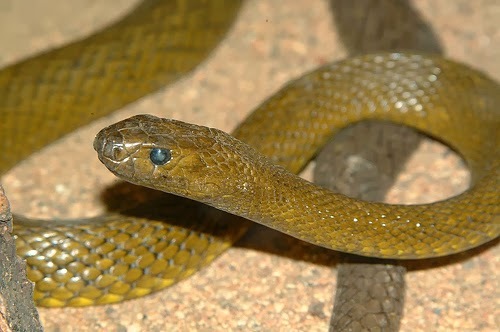 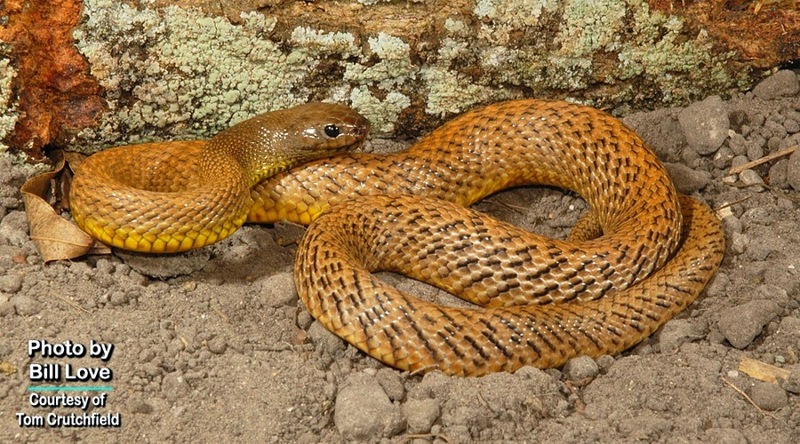 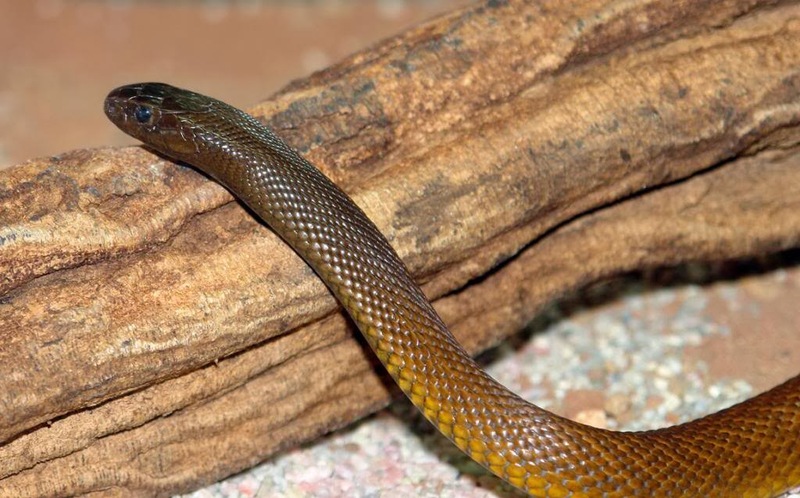 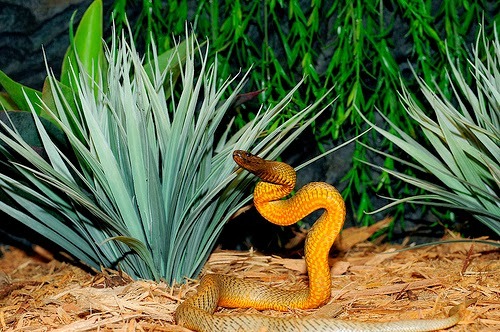 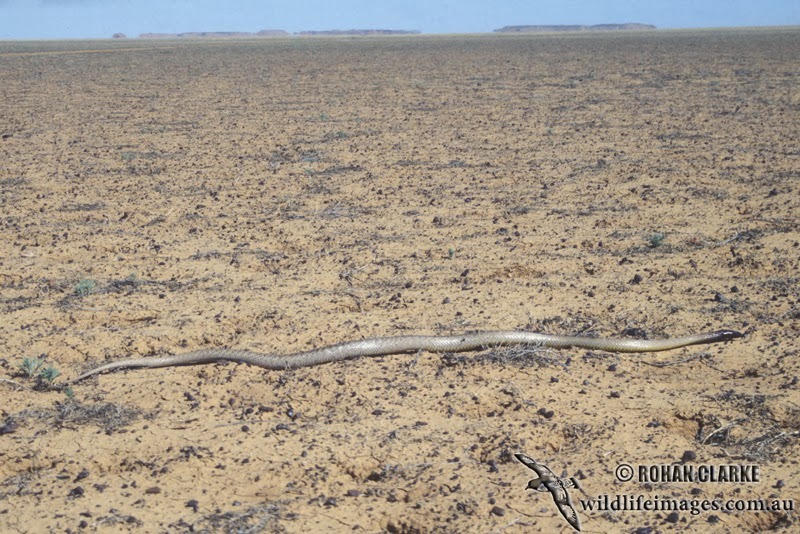 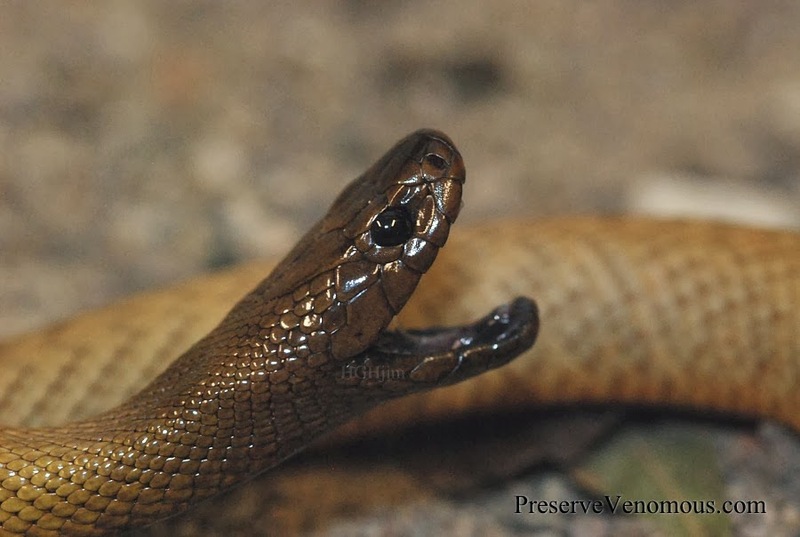 Unlike most snakes, the inland taipan is a specialist mammal hunter so its venom is specially adapted to kill warm-blooded species.It is estimated that one bite possesses enough lethality to kill at least 100 full grown men, and, depending on the nature of the bite, can kill someone in as little as 30 to 45 minutes if left untreated. 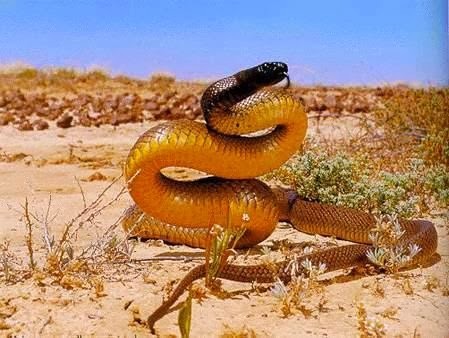 It is an extremely fast and agile snake which can strike instantly with extreme accuracy, often snapping its jaws fiercely several times to inflict multiple punctures in the same attack. 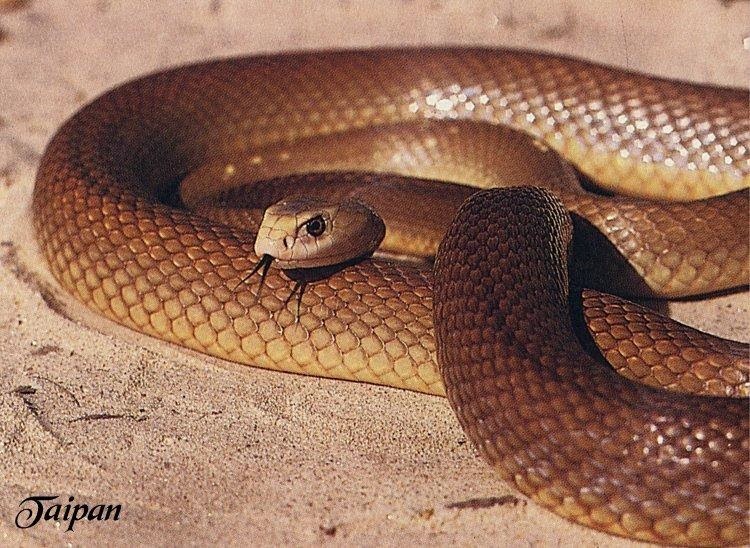 Although highly venomous and a capable striker, contrary to the rather aggressive natured coastal taipan, the inland taipan is usually quite a shy and reclusive snake, with a placid disposition, and prefers to escape from trouble.